Have you ever stopped to consider if you are brushing and flossing correctly? It seems like such an easy task, yet our Shoreline dentist and hygienist often find patients who aren’t properly taking care of their oral health needs. As a dentist Shoreline patients trust for their preventative dentistry and oral health needs, look to our team of professionals for a little guidance. We’ve listed a few of the most common brushing and flossing mistakes. Brushing should take place twice each day; more often if you are consuming a lot of treats and sweats. Flossing needs to be done daily. Brushing and flossing keep tooth decay from causing cavities by removing the bacteria that causes the decay. The hardest teeth to reach in your mouth are the molars in the back. By positioning your brush at a 45 degree angle, you will have a better chance in getting the area clean. Oral hygiene needs proper attention so that your teeth and gums remain healthy. Flossing the back molars is tough, too. However, our Shoreline dentist recommends loosening your jaw a bit so that you can better reach the area. 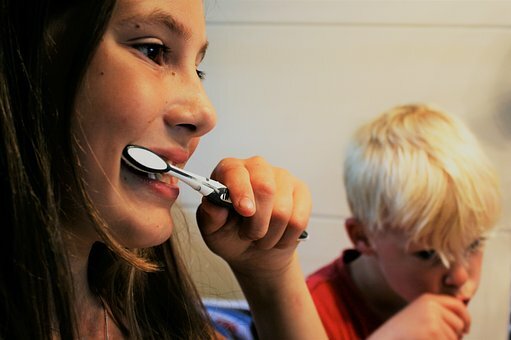 Tooth brushing takes two minutes. That’s it. Brush the top front and back teeth for one minute and then repeat for the lower teeth. Help children understand timing by utilizing apps that address oral health needs and hygiene. These apps make brushing fun and help everyone understand the two-minute rule. An old toothbrush does little to clean teeth. Bristles wear down which means your teeth aren’t getting the attention they need. Replace the toothbrushes in your home 3 or 4 times each year. Doing so will also keep unwanted germs from infecting your toothbrushes. One last common mistake people make when brushing and flossing is not scheduling their regular dental exams. A professional cleaning is key in preventative dentistry. We have the necessary tools and experience to keep your teeth looking great year after year along with your at-home care. If you feel you or your family would benefit from a refresher lesson in brushing and flossing, let us know at your next appointment or give us a call. We love helping smiles be their best. Our Facebook page has additional tips to cover your oral health needs if you’d like to learn more. Happy brushing!